The Virginia Board of Nursing is the best resource for people who are seeking to study or work as nurses and other nursing related work such as nursing assistants. The Board has a website which offers useful information about state policies with regards to nursing education, employment, and certification or licensure needs. You can visit their website if you wish to do any of the above said activities. They offer free information for those who are interested about nursing in the state. You can also access their website any day and time for your own convenience. The Board’s website also offers valuable information for those who wish to renew their current CNA certification online. They allow online renewal for those who are certified in the state to make the process much easier and much faster for licensees. You can submit your payment and your certification information much faster and the renewal process is also done much quicker with the online method. The worker can also make the necessary adjustments with regards to his or her personal information by contacting the Board through the website. Each CNA can make his or her own account on the website and they can check their certification status by logging on to their accounts. If you are an employer looking for certified nurse aide, you can use the Board’s online registry to check the current certification status of the potential employee that you wish to hire. You only have to enter the correct information about the worker such as their birthdate, certification number, and name in order to see their status in the registry. No fees are charged for access to the information and it is available any time and day of the week. You will only need to visit the Board’s website in order to get the information that you want. The website lets you pay for renewal fees online and makes the whole renewal process much easier for you. You can also request for changes in personal information such as birthdate or social security number online, by logging on to your account and sending the request to the Board. This makes a hassle-free method of making any necessary changes to your account without having to go through a lot of procedures. The system allows nursing assistants to quickly access their accounts online without the need for much paperwork and other time consuming processes. If you want to get the current information of a nursing assistant candidate, you can visit the Virginia Board of nursing to find what you need. There are also other nursing resources that you can find on the website which includes materials for nursing assistant education, training, and list of accredited programs if you wish to undergo CNA training. The information contained in the website is constantly updated so you get the latest information possible as well as the current news and policies that the Board has made with regards to health care regulations and updates. The website is available free of charge and can be viewed by the public. 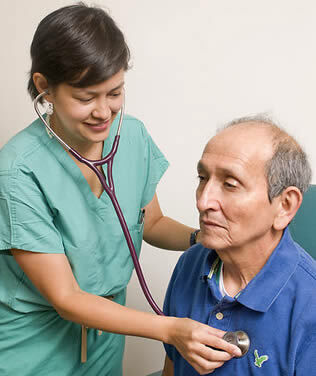 For further information about VA nursing assistant certification requirements you can visit this link.